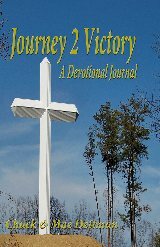 Journey 2 Victory serves as a tool to assist in healing not only marriages and relationships, but also individuals. Many times when our thoughts are committed to paper God gives us comfort and ‘releases’ our hurt and pain. This is a journal designed to give you a sense of freedom and peace using a word, with a related scripture verse, to reflect and pray your struggles to Him. Each day select a word that is significant, pray the scripture for that word and then journal your thoughts. Once you’ve completed the journal (journey) for the word use that scripture to help guide you through your day. You might feel comfortable sharing your thoughts with a friend, family member, your pastor or spouse. Most important, let God ‘speak’ to you imparting His Will for the day. 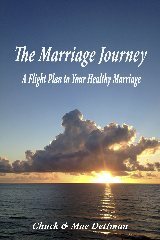 Another use for the Journey 2 Victory is to supplement the Navigational Cards found in The Marriage Journey: A flight Plan to Your Healthy Marriage. The cards are a simple tool to assist in conversations at home, school, work or just about anywhere. Check them out at navigation-card-purchase Instructions are on the site as well, or you’ll find them in Chapter 18 for The Marriage Journey. The Marriage Journey gives helpful navigational aids you can easily apply during the stormy times of your marriage flight. The aeronautical theme gives an uplifting perspective to the turbulence often experienced in marriage. The Journey checkups, flight plans, and more, make for an easy read, plus offer a fresh and unclouded approach to help you build a strong marriage and family. Travel on The Marriage Journey for an unforgettable trip. The analogy of plane travel used in the book, the Journey helps couples explore new territories and make surprising discoveries. A successful marriage requires clear flight plans to avoid thunder storms for a smooth journey. God as the pilot and couples as the co-pilots, couples need to work as a team to make the flight as enjoyable as possible and appreciate the beauty of the skies. 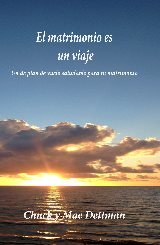 The Journey will help couples have a pleasant trip. Enjoy the flight! Written by the co-author of The Solution for Marriages, The Marriage Journey shares skills to create a strong, healthy and lasting marriage. It is designed for couples of any age or stage in their relationship. You can turn a good marriage into a great one, find hope in a struggling one, or take a great marriage to a deeper, more passionate level. Don't have a Kindle? You can still read The Marriage Journey on your PC, Mac, Blackberry or Android device. Download a free Kindle Reading App from Amazon.